Every year, our players walk away from Seaside with fantastic t-shirts produced on-site by our vendor, Northwest Designs. 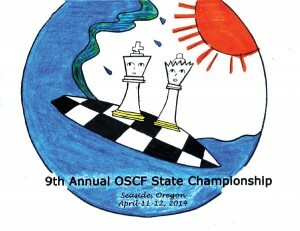 Each year, the great art on the t-s hirt is designed by one of our players. We’re looking for the T-shirt design that will be featured on this year’s shirts. If you have the selected design, you will win a free entry to the tournament ($35 value), a free T-shirt ($20-25 value), and $75! 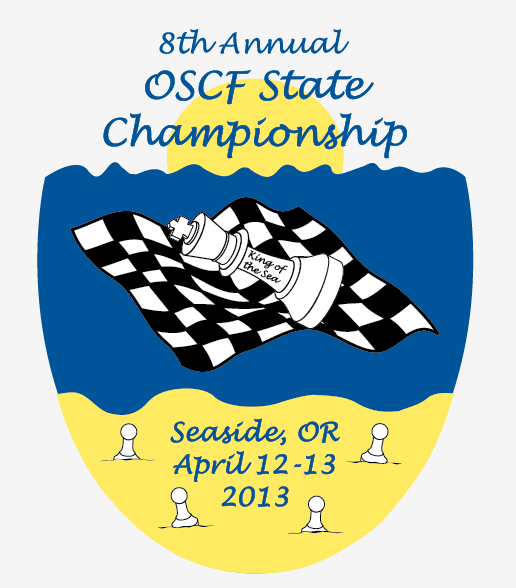 If you’re the first runner up, your design will be featured on the front of the State Championship Program. The deadline is coming quickly, though, so get your pencils, pens, and crayons sharpened, and your creative energies flowing! The T-Shirt application form is here. Parents or adults affiliated with tournament attendees may submit designs, but preference for designs will be given to NSWRS-rated players and their siblings (and the award remains the same)! All entries will become property of OSCF and will not be returned. The design must contain three phrases: 1) “10th Annual OSCF State Chess Championship” or (if the chess theme is obvious) “10th Annual OSCF State Championship”, 2) “April 24-25, 2015”, and 3) “Seaside, Oregon”. There is no limit on colors for submissions, although the final t-shirt design may be limited in production and altered as necessary for t-shirt production. Shirts will be produced on demand, on site, and on the customer’s choice of shirt color. 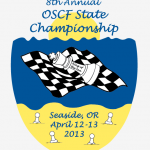 All submissions must be submitted either by dropping them with an OSCF representative at an OSCF qualifying tournament (watch for the fliers this weekend and next), or electronically as an email attachment, along with this application, to oscfchess2011@gmail.com. Deadline: Noon on March 10, 2015.